Legend has it that the British Society of Aesthetics (BSA) was founded in 1960 so that Herbert Read could lead a delegation of British Aestheticians to the International Congress on Aesthetics being held in Athens that year. Its declared foundational aim is to promote study, research and discussion of the fine arts and related types of experience from a philosophical, psychological, sociological, historical, critical and educational standpoint. The Society’s activities include publication of The British Journal of Aesthetics, Debates in Aesthetics (formerly The Postgraduate Journal of Aesthetics), a newsletter, an annual conference, regional conferences, lecture series, grants to support research in aesthetics, and an essay prize. The British Society of Aesthetics was formed in 1960 to promote discussion and research into the theory of art and criticism and the principles of appreciation. This objective of course expresses a particular moment in the history of aesthetics. 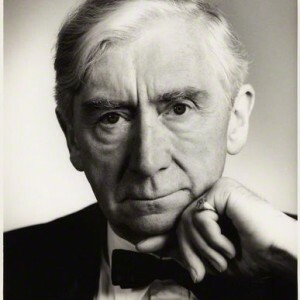 The Society was founded by a group of people including Sir Herbert Read (pictured), Dr (later Professor) Ruth Saw and Harold Osborne. The first issue of the British Journal of Aesthetics appeared in November 1960. The Journal has gone from strength to strength and maintains the pre-eminent position in the field first established by Harold Osborne. It has been published on behalf of the Society by a succession of Britain’s leading publishers, first Routledge & Kegan Paul, then Thames & Hudson and since 1975, Oxford University Press. Terry Diffey succeeded Harold Osborne as editor in November 1977 and Peter Lamarque became editor in January 1995. John Hyman and Elisabeth Schellekens are the current editors. In the year of the 50th anniversary of Herbert Read’s death, Jeffrey Petts looks back at the life and work of the BSA’s first president. A recent introduction by Will Gompertz, BBC arts correspondent, to a reissue of Herbert Read’s The Meaning of Art (1931) sets its contemporary relevance in the context of conceptual art. Duchamp’s meaning of art prevails, he suggests, and any budding Read would be chased out of the artworld today because of their ultimate concern with the experiential effects of art on lives. That Read presents such a contrasting view of art, and one that challenges 21st century artworld dogmas, is true but the context is wider. The last section of Meaning argues that the artist’s work exemplifies “will-to-form”; it is this aesthetic activity that is ultimately Read’s concern and adds a political dimension to his philosophy. For Read sees in that the necessity of adhering to an ‘unpolitics’, as he sometimes called his anarchism. Read did not just champion ‘modern art’ and artists but argued via them for conditions in which art, all creative work, flourishes. Read’s “personal confession of faith” – Poetry and Anarchism (1938) – expressed his conviction that the world (art and beyond) needs “no programme”: that individuals and works are formed by their aesthetic activities, which then create the realisation and enjoyment of “the anarchy of life”. 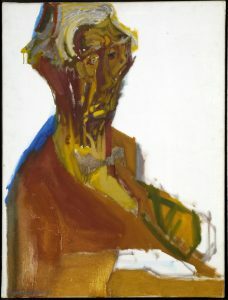 The integrity of Read’s art criticism, history and philosophy, together with his politics and views on education, were recognised by Adrian Stokes and J.P. Hodin in the July 1964 issue of the British Journal of Aesthetics, both celebrating Read’s 70th birthday (Read was then the British Society of Aesthetics’ first President). So while noting Read’s historic support for ‘art now’ (Moore, Nicholson, Hepworth) Stokes also thought Read argued a “novel case for art as a necessity for human beings”. He saw how aesthetic activity for Read is not simply ‘heightened’ work but the “prime base for any degree of culture”. Stokes noted then affinities with the philosophy of John Ruskin but regarded Read’s as “broader” in making the philosophy of aesthetics that of ‘creativeness’. Hodin noted Read’s catholicity of interests and many activities, seeing them as potentially a source of difficulty in assessing Read’s philosophy and its significance. He observed a “richness of aesthetic feeling over any scientific training” that was reflected in Read’s aesthetics and advocacy of sensuous appreciation as prior to any intellectual activity. Still, Hodin understood that Read argued for a kind of primary aesthetic apprehension of reality and that this was a powerful idea of the aesthetic. Hodin quotes Read: “In the end Art should so dominate our lives that we might say: ‘There are no longer works of art but Art only. For art is then the way of life’”. Norman Potter, designer and fellow anarchist, quoted in a 1998 reassessment of Read edited by David Goodway, also defended him against criticism of being ‘diffuse and evasive’, unscientific, by focusing on Read’s aesthetic philosophy of life and his ‘real courage’ in arguing its political dimension, for example in public meetings defending the Freedom Group in the 1940s. This 50th anniversary of Read’s death is an opportunity to think about his ‘aesthetic philosophy’ and the focus it might give philosophical aesthetics now. Read used a Williams Morris anniversary similarly. Writing in The Observer on the 100th anniversary (1934) of William Morris’s birth, Herbert Read noted how Morris was typically regarded as variously and discretely poet, designer, and socialist-anarchist but all could be integrated around an idea of the aesthetic. Indeed Read and Morris share a conception of aesthetic interest as essentially related to work: in essence, the joy in making things and “a conception of life as an aesthetic whole” that Read rightly saw in Morris’s work and philosophy. George Woodcock’s 1972 intellectual biography of Read casts his aesthetic philosophy as art criticism bridged to politics and aesthetic education. That’s broadly true and perhaps best illustrated by Read’s ‘Art and the Development of the Individual’ in The Form of Things Unknown (1960). The essay identifies ‘art’ with Individual creativity; and the development of both individuals and society with creative work. Read argues that the idea of development “must not be understood as implying any ethical notions of progress” but as ‘progressive adaptation’, about keeping a vitality in our relationships with the environment. Art plays its essential role as the most effective means of human communication. Myth, ritual, poetry, drama, painting, and sculpture are not just “grist for the analytical mill” but the way “mankind has kept itself mentally alert and therefore biologically vital”. Read goes on to consider therefore art education in the context of both individual ability (specifically with reference to J. Field’s On Not Being Able To Paint) and general alienating conditions of work. Read concludes with a vision of “a society in which everyone was an artist of some sort” and one thus “necessarily united in concrete creative enterprises”. These themes are pursued in Art Now (1933), The Grass Roots of Art (1947), through to The Redemption of the Robot (1969). Central to Art Now is the argument that “all of us are without freedom if we don’t follow the artistic lead” (set by artists like Henry Moore, who are the particular focus of the book). And Read thinks this is a revolutionary position without being political in the conventional sense, working as it does on the plane of human spirit and imagination. In Grass Roots, art is seen as a ‘social bond’ “so long as it is aesthetic”. Read’s meaning of ‘aesthetic’ refers to communicating by means and rules to which our senses respond. He thus calls non-aesthetic art “masochistic” because it denies the pleasure of a basic “formative activity”. Contemplating a world of automation, in Redemption Read asks “What remains for man? Man must become an artist and fill his new-found leisure with creative activity”. Read’s Anarchy and Order (1954) is subtitled ‘essays in politics’ but even here Read stresses that there is no categorical separation between this “Anarchism” and the philosophy that appears in his literary criticism, poetry, and his writing on art more generally. He reflects candidly too on the seeming absurdity of saying one is an anarchist; but he is committed to the idea of aesthetic experience as an experience of “organic freedom”. For Read, this idea of freedom, the idea of “daring to create authentically”, meant necessarily rejecting attempts at the rational organisation of society. It informed Read’s rejection of Russian communism and his anarchism and also allied him to French existentialism. The seeming paradox of anarchical order – its ‘absurdity’ one might say – is resolved as experiential anarchy and aesthetic order, akin to existentialist ‘choice’ but with an added aesthetic ‘will-to-form’. For Read anarchism meant “a new social order” providing personal freedom and “opportunities for creative activities”. Read’s anarchism led him to questions about aesthetic education, to the ‘”lost notion of cultivating senses – sensibility”. This education is not, for Read, properly, separated from considerations of work generally. So it goes far beyond education in the fine arts, the type of aesthetic education in any case Read thought guilty of failing to deliver sensibility to its students (as he notes in Art and Society (1937) for example). The idea of ‘sensibility’ is linked to creative work, extending beyond sensibility in artistic making and appreciation. The general aims of aesthetic education, properly speaking, relate to work showing an aesthetic interest in form and function of whatever the maker produces; it shifts its focus to educating makers of things, rather than educating taste in appreciating artworks. In Redemption, Read also thinks this especially important if automation isn’t to leave us bored with life. By this route, aesthetics, for Read, broadens to a general philosophy of human development. This educational focus is similar to that of John Dewey who was concerned that philosophical enquiry should centre on experiences that encourage and build sensibility, are both agreeable and individually and socially valuable. Read’s ‘aesthetic philosophy’ suggests a broad scope and set of aims for philosophical aesthetics. If philosophical aesthetics since Read’s heyday has broadened its subject range (most obviously with its interest in ‘everyday aesthetics’) and intellectual depth (drawing still more, where needed, on other disciplines), still Read might wonder if this is properly, as he’d argue, in the developmental service of an aesthetic philosophy of life. It is perhaps that which marks out Read’s potential continued significance as a philosopher. In the poem Moon’s Farm (1951) Read reflected on his philosophy and was content with its “natural outlook”. But he rejects materialism for a kind of experiential, existential philosophy based on the probity of aesthetic experiences. Read’s aesthetic philosophy, work-centred and developmental, though often drawing on other disciplines too, isn’t reducible to a scientific or ethical aesthetics. Rather it seems more in the founding tradition of aesthetics established by Baumgarten and clearly owes much too to Schiller’s ideas about a distinctive kind of human work and its aesthetic ‘play’. Read is also a notable figure representing a broadly social and developmental tradition in British philosophical aesthetics that held some sway particularly between roughly 1850 and 1950. It started with reactions to industrialisation and particularly the state of industrial design at the 1851 Great Exhibition; its key text was Ruskin’s Stones of Venice (1853) chapter on the nature of the Gothic worker. Its practical and theoretic high and end points were the 1951 Festival of Britain and included Read’s Education Through Art (1943). Yet the kinds of economic and social conditions that prompted this tradition in philosophical aesthetics remain real, indeed with the increased intensity of a data-driven and un-aesthetic world. Read’s aesthetic philosophy made him ask questions like “is there a possibility of guiding our machine civilization by putting things first and their proper aesthetic making?” He wondered whether “in a world shrinking under a network of high-speed communication” an epoch without art was dawning. Read offers then an everyday ‘political’ vitality and relevance to philosophical aesthetics in directing enquiry to our aesthetic lives, into the very conditions of humanity.